Charlie Waiteu2019s landscape images, together with his tireless promotion of photography as an artistic medium, have made him hugely influential in British landscape photography. David Clark looks at his life and work to date. 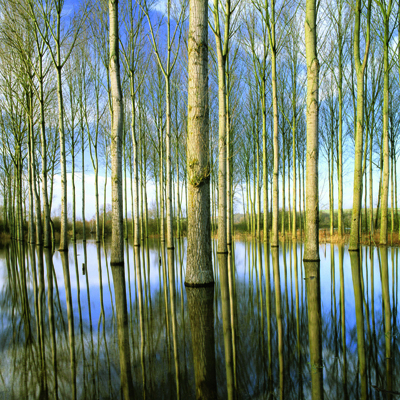 Charlie Waite?s landscape images, together with his tireless promotion of photography as an artistic medium, have made him hugely influential in British landscape photography. David Clark looks at his life and work to date. During his 30-year career, Charlie Waite has become arguably Britain?s most popular and successful landscape photographer. His images celebrate and record beauty, particularly in the natural world, and communicate his sensitivity to light, shape, form and atmosphere. He has been highly influential on this country?s landscape photography, both via the example of his own work and by encouraging aspiring photographers to develop their vision and skills. Charlie is such an established figure in photography that it is difficult to imagine him pursuing any other career, yet it is not the one he originally intended. After leaving school at 17 with, as he says, ?one single qualification to my name? he joined a repertory theatre as an assistant stage manager. After two years? training he became an actor and played numerous roles, mainly on stage and in television, for the following decade. During this period he met and married Jessica Benton, who is best known for her starring role in the long-running BBC TV drama serial The Onedin Line. For Charlie, however, the sporadic and unreliable nature of acting work led him to look for an alternative career. He had been introduced to photography as a child by his father Rex. The magical moment when his father helped him to make his first print, at the age of 11, had left a great impression on him. Charlie?s growing passion for the medium spurred him on to begin shooting portraits of his fellow actors and he undertook an intensive one-year course in photography at Salisbury College of Art. Afterwards, he continued photographing actors and soon had a thriving business, though his personal work often featured landscapes. The key turning point in his career happened by chance. While viewing a house for sale in London, the vendor asked him what he did for a living. Charlie replied ? ?only partially truthfully,? as he says ? that he was a landscape photographer. The man turned out to be a publisher who was looking for a landscape photographer to illustrate a National Trust book of walks around Britain. Within a week the publisher had given Charlie his first landscape photography commission. More book commissions followed and a new career direction developed. ?As my photography developed, so did a greater understanding of the sacred nature of the earth,? he later wrote. ?My responses to my surroundings grew to become ones of reverence, wonder and joy. The camera was the vehicle for the transmission of these sentiments and the resulting image was the manifestation of that relationship.? Now, 30 years on, he has written and/or produced the photographs for 27 books and held numerous one-man exhibitions around the world. His almost evangelical commitment to promoting the art of photography led him, in 1994, to found the photographic tour company Light & Land. The company has expanded to become the market leader in the field and Charlie, along with the company?s many other tutors, continues to lead tours in locations around the world. In recent years, his desire to encourage landscape photography in the UK inspired him to set up the Take a View Landscape Photographer of the Year competition, the first major national competition of its kind. In his own work, Charlie is particularly known for flawlessly beautiful landscapes, mostly in colour, which are meticulously composed and technically accomplished. The dominant mood is one of calmness and contemplation. He is known for his tenacity and determination in looking for the ideal subject and for waiting as long as it takes for that subject to be revealed at its best. ?I find that much of my photography involves construction, waiting for elements to happily interlock and align themselves,? he has written. ?More often than not, light is the great catalyst that can reveal and finally yield the image one yearns for.? Most of his images are square in format, having been shot on his 6x6cm Hasselblad kit using Fujichrome Velvia film stock. This is still his equipment of choice, although he has also enjoyed using digital capture. He believes that the art of photography involves capturing the image in-camera and rejects too much post-capture manipulation as ?third-rate?. Although Charlie is a charismatic public speaker, in person he is self-deprecating and modest about his achievements. In an interview he once said that the three words that best sum him up are ?hesitant?, ?unsure? and ?inspired?. He believes that his constant questioning of his own work helps guard against complacency. Although having recently turned 60, he retains enthusiastic about his work. ?I?m not sure what lies behind the compulsion to go on, but I know there is a burning need to go out and do it again,? he said in a recent AP interview. ?When you?re doing it, the only thing you know is that you?re absolutely driven, and all other antennae are turned off. It?s an immensely liberating feeling when you?re out in the landscape, concentrating on creating a photograph, and you?re absolutely flying. I definitely want to go on.? 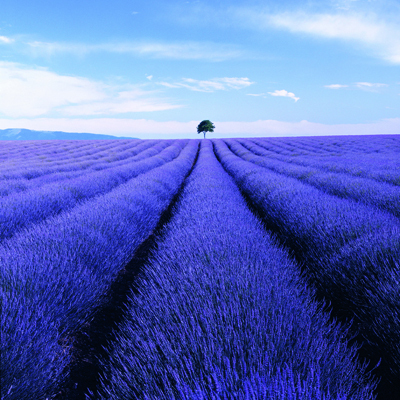 Charlie Waite?s many books include Seeing Landscapes: The Creative Process Behind Great Photographs (1999), In My Mind?s Eye: Seeing in Black & White (2004) and Landscape: The Story of Fifty Favourite Photographs (2005). Charlie?s official website is www.charliewaite.com, which contains galleries, interviews and information on prints for sale. Details of Charlie?s photographic tours in the coming year can be found at www.lightandland.co.uk.